One of the distinctive features of the Boulder Shambhala Center building are the decorative roof soffits. The Boulder Shambhala Center has received a $15,000 grant from the Colorado State Historical Fund to conduct a historical assessment of the building. The assessment will yield a prioritized list of possible maintenance projects which then may be eligible for further grants from the State Historical Fund. The assessment itself is a year-long project that will be fully completed by March 2015. This is something like a visit to the doctor for the building — a top-to-bottom checkup, with an eye to preserving its health and well-being. 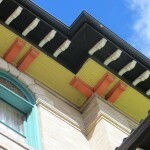 The community has done a good job of taking care of the building, but it is 109 years old and in need of more care. The Boulder Shambhala community bought the building in 1976 and renamed it Dorje Dzong, which means Indestructible Fortress in Tibetan. Mechanical Assessment MKK Consulting Engineers, Inc.
Electrical Assessment JCN Engineering, Inc.
Building Liaison Southward Contracting and Consulting, Inc. 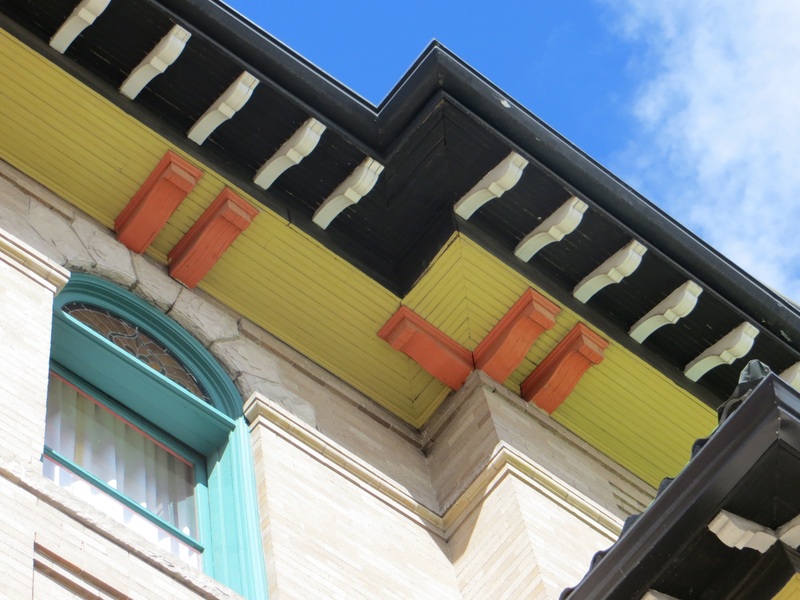 The Physician’s Building was built in 1905 and is a contributing site in the Boulder Downtown Historic District, as well as being eligible for the National Register. The building was designed by Boulder architects Wright and Saunders, and was constructed especially for the accommodation of physicians. It has housed dental offices, an insurance company, and there was once space for the Republican Party on the third floor. 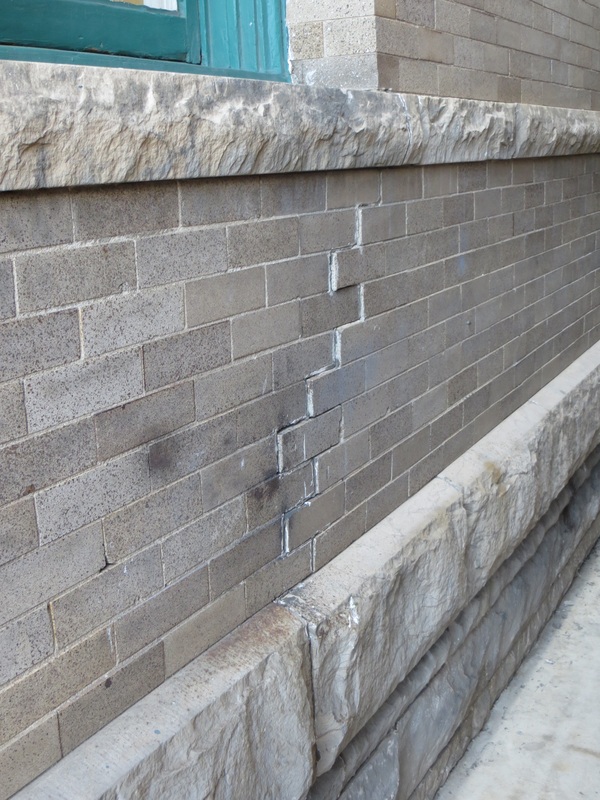 Walls and masonry at the Boulder Shambhala Center are offset and show cracks in some spots. An initial review of the building showed that it is starting to show signs of distress in the exterior of the foundation and masonry walls. Cracks and displaced masonry have been noted, and previously repaired cracks are re-opening. A retaining wall on the front exterior stairs to the basement has an obvious bulge which has increased since the flooding of September 2013. The front stairs are in need of re-setting and re-pointing, as well as tread repairs. Besides the visible signs of distress in the foundation and masonry walls, the original historic double-hung wood windows have deteriorated and are no longer air tight. There are original stained glass windows that may require repair, including re-leading. Stains on the ceiling of the main shrine room on the third floor suggest roof leaks or moisture build-up in the attic. Some of the stained glass windows have medical iconography because the building originally was home to several doctors and medical practices. ADA access to all floors of the building is very important to the community since programs are held on every floor of the building. The elevator we have now is old enough that it is very difficult to keep running properly. This building has been host to the greatest Tibetan meditation masters of this era and contains the blessings of our lineage. It is indeed a precious resource and a center-pole of the entire Shambhala mandala. If not completely indestructible on the outside, it certainly represents and holds the indestructible energy of our community. Eileen Malloy is the Operations Manager of the Boulder Shambhala Center. Contact Eileen at finance@boulder.shambhala.org, or 303-444-0190, ext. 102.